It’s important that your site is optimized in the search engines for local customers that are also searching for your competition. We help your target audience find your website. Local Search Engine Optimization is an important online marketing strategy for web based businesses looking to reach their consumers. If you are looking to sell your products and services to a market, within a specific geographical area, you need local SEO to attract buyers to your website. 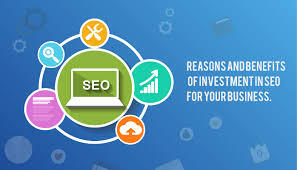 Many web based companies are integrating search engine optimization techniques at local levels to capture the attention of consumers as buying online is becoming an increasingly convenient option for them. The need for going local with your SEO plans has been accentuated with the proliferation of fully supported HTML browsers opening up the mobile market for consumers to find merchandise on the move. The channels used by consumers for buying products are changing rapidly. You must have an adapting marketing strategy in place to be ahead of the curve. As mentioned earlier, the benefits of local optimization could be endless. Below are some of these benefits described in detail. • It would be easier to optimize the website – When the website has been optimized locally, SEO on regional level is a lot easier to do. Ranking on generic keywords wouldn’t be that difficult. Initial marketing efforts is already done, customers will already have an idea what the website and the business are all about. Ranking for local keywords can also be done with ease. For instance, the keyword “Web design Sydney” will have a comparatively low competition than just the keyword “web design”. • It could gain local customer base – Tapping customers locally is a lot easier than doing it in a bigger market. With a good local following, it would be easier to increase your customer base by the time you decide to go national or even global. • It would make your website or business more visible – When your business and website are listed on local directories, it means that when someone searches for them, Google can give local search results. It is noticeable that when a website has been optimized locally and in a general manner, local search results (maps, listings) appear on the SERPs first before the organic results. • It could build customer trust and business credibility – Local directories such as Yelp allow customers to leave reviews and give their ratings on how they perceive your business based on services and products they have availed. These directories then rank business listings of the same category according to ratings and customer reviews. Those that have better reviews (more stars) are listed first on the site and receive better exposure. When these benefits are availed through local optimization, higher sales and income can then follow. Your business will undoubtedly succeed.